This is second in a multi – part series. As I started writing, I realized this issue is so long and involves so many aspects that it would not be feasible to put it in single article. Request you to please wait, if you can, for the other parts before firing the gun. Before moving ahead, I would like to briefly summarize my views expressed in the 1st part of this series. In the comprehension (passage type) questions in CSAT, the main problem is not mechanical “bhaavheen” translation as alleged by Andolankaris. The main problem is that pure Hindi words are so difficult. That the pure Hindi words are so difficult is no fault of UPSC, but a fault of the Hindi purists who have taken the pure form of Hindi away from the masses. What can be done is to perhaps translate in easy Hindi or Hinglish or at least give corresponding English words in brackets next to difficult Hindi words. Maths questions in CSAT are mostly really basic and there is no excuse for not studying them. I completely disagree with those Andolankaris who deny the necessity of asking logic based questions in CSAT. For those who want to reduce the weightage of logic based questions and increase that of administrative decision making based, yes this can be discussed. I am not against reducing the weightage or making it qualifying, do what you want – but the decision should be taken by experts and not by show of force by the students. Real issue is not Hindi vs English. This was projected as such by the Andolankaris merely to arouse sentiments, get political support and media attention. This is more of a Humanities vs Engineers / Doctors / MBA issue. I am sure once the above actions are taken, a lot of grievances of the genuine students would be resolved. Apart from this, before moving ahead, I would also like to point out another discrepancy where the Hindi version was much clearer than the English version. This happened in 2011 Essay paper and this discrepancy is worth 200 marks!! Request the Andolankaris to show cumulative anti-Hindi discrepancies worth 200 marks in last 5 years papers taken together. While the Hindi version is clear, English version can have 2 meanings – one the correct, loan based education and other the incorrect one, credit based education (in some colleges like IITs and IIMs, instead of %, students are given credits based on their grades). Whosoever took the wrong meaning, God bless her! I have said that CSAT is less of a language issue and more of a humanities vs engineers issue. But CSAT is not alone why Hindi medium humanities selections are going down. In this part, I would discuss other reasons why I think Hindi medium humanities selections are going down. In the recent years, there has been a definite trend of even the GS prelims questions becoming more and more understanding based and less factual. I picked up the Civil Services 2009 Prelims GS paper. Although this depends on individual perception and may vary if someone else does the same exercise, I found that out of 150 questions asked, only 15 required some application of mind and were understanding based while another 15 were maths / reasoning based. This means 120 questions out of 150 were factual! Then I tried to do a similar exercise for the Civil Services 2013 Prelims GS paper and found around 50% of questions were understanding based and required some application of mind. I think that this change in nature of the questions is desirable. It reduces the culture of rote learning and thus the importance of half baked guide books, coachings etc. There is need to now understand basic economic concepts like what is Balance of Payments, what is CRR, how do they impact our economy than remembering facts like what is the present CRR! I don’t believe Hindi medium humanities students lack in their ability to understand things. However, as discussed later in this article, the Hindi medium preparation ecosystem is no longer suitable for the exam anymore. I am presenting some sample questions here for you and you yourself can feel the difference. Success rate of Hindi medium humanities students has fallen in the prelims stage. Issues in CSAT and Issue #5 above are responsible for that. But role of CSAT is over after the prelims stage. Then why is it that the success rate of Hindi medium falls from 18% in prelims to ~2% finally? Andolankaris claim this is because the ‘most deserving’ and ‘most brilliant’ students are filtered out at the prelims stage itself. While I accept that some deserving and bright candidates may be left out at prelims stage, but accepting this claim in entirety without some hard research backing it, would amount to whimsical and arbitrary decision making and would also be a great disrespect to the present Hindi medium toppers like Santosh Rai. From prelims to mains, I am sure there are other factors working and I am going to discuss them now. Change in nature of questions asked and also marking strategy of UPSC. Dropping of one Optional paper. Over the years, UPSC has changed the nature of questions asked in its mains papers – both in GS and in Optionals. Earlier there were many questions which were ‘conventional’ type or where knowledge, and not understanding and analysis, were the main determinants of the quality of an answer. The information required to answer a question could be easily found in books / coaching material / magazines. Very little application of mind was needed in many questions – either you knew them or you didn’t. However, now UPSC is asking many questions where understanding and analysis, and not knowledge alone, is the key determinant of determining the quality of an answer. More and more opinion based questions are being asked. How we present our views is becoming more important. It is very difficult to find today’s UPSC answers in any book / coaching material / magazine. (Here, to those who want to oppose me by asking that if the earlier questions were knowledge based then should we doubt the quality of civil servants who qualified in those years, I would like to point them to my 20-20 cricket example given in part 1). As a sample check, I picked up 2004 GS Mains Paper 1 and tried to see how much can a candidate, relying more on knowledge than analysis, attempt in the paper. I classify the questions into “information determined” (where knowledge / specific information gives one a distinct advantage) and “analysis determined” (where knowledge alone gives no significant advantage). Then I repeated the same exercise for 2013 GS Mains Paper 3 to compare. (I would like to reiterate here that such kind of activity is very subjective and everybody can reach different conclusions.) Please see Appendix 1 at the end of this part for the details of the study. The importance of editorials and opinion columns in various newspapers has increased a lot. However, the thing which goes against Hindi medium students here is that most newspapers which have good editorial sections from UPSC point of view are in English. This is no fault of UPSC or the Hindi medium students, this is simply unfortunate. Earlier, questions were conventional and you could find the answers in coaching material / books. But now the questions are so dynamic and analysis based, that it is not possible to find all good points about an issue in a single place. One has to make extensive use of internet (Google and Wikipedia searches, analysis of committee reports and laws passed etc.) and see what various people are saying on the issue. This again is a problem, because a) Internet is in English and b) Hindi medium humanities students are not familiar with extensive computer usage. The new pattern has reduced the importance of coachingwallahs to a great extent. It has reduced the role of rote learning and brought in deep analysis and application of mind to a great extent. All this is highly desirable. But a side effect is that while the English medium, computer familiar students could adapt to the new pattern, many of the Hindi medium humanities students could not adapt. This is not a fault of the students or UPSC’s, the larger ecosystem is just not supportive enough for them. Let me tell the reader that this shift in the nature of questions asked is not limited to the GS papers alone. Ask any Public Administration student of cse 2012 and she will tell you what happened in the paper. Look at this year’s History paper and 10 years earlier paper and you would realize what I am talking about. Even in Optional papers now, the questions asked are no longer the conventional ones! This is a highly desirable development. It has necessitated a deeper and more conceptual study of the subject. But the problem which Hindi medium students now face is lack of availability of high quality material. This is no fault of their or UPSC’s, just that the Hindi medium ecosystem is less supportive. Similarly when it comes to marking, there is a perception among the student community now (I have no special knowledge or proof of anything here) that UPSC is not giving good marks for standard answers out of coachingwallahs material. It is rewarding in depth understanding and originality. This again is highly desirable. इसी तरह से जब मार्क्स देने की बात आती है तो छात्रों का मानना है की UPSC आजकल कोचिंग वालों के नोट्स में से लिखे हुए उत्तरों पर अच्छे मार्क्स नहीं दे रही है (मेरे पास इस विषय में कोई special ज्ञान नहीं है और न ही कोई proof है, यह सिर्फ सुनी सुनाई बात है)| UPSC अब गहन समझ और मौलिकता पर अच्छे नंबर दे रही है| यदि ऐसा है तो क्या यह बहुत अच्छी बात नहीं है? Similarly the dropping of an optional has also worked against coachingwallahs because while the role of coachings in GS has been substantially removed, it still remains somewhat significant in Optional (although reducing). This again is a highly desirable development. But as I argued earlier, a side effect of this has been a less supportive ecosystem for Hindi medium preparation. Issue #7 Are These Hindi Medium Figures Real? As pointed out by a dear friend of mine, Prem Ranjan, the figures quoted by the Andolankaris are misleading. The Andolankaris tell us that only 26 Hindi medium selections were there this year as a proof of discrimination against rural, hindi medium students and go on to claim that they are representatives of ALL rural, Hindi speaking class. Hang on, these figures only tell us the total selections of people who APPEARED in this exam in Hindi medium. But is this the whole truth? What about those students who studied in villages, in hindi medium schools till 10th or 12th and only later on shifted to English in order to brighten their career prospects. (No one is denying that in the overall economy, English increases the chances of a brighter career.) My dear friend and roommate in IIT, Harikesh Meena, is from a village in Sawai Madhopur district in Rajasthan. His family was very poor. He studied all his life in Hindi medium. 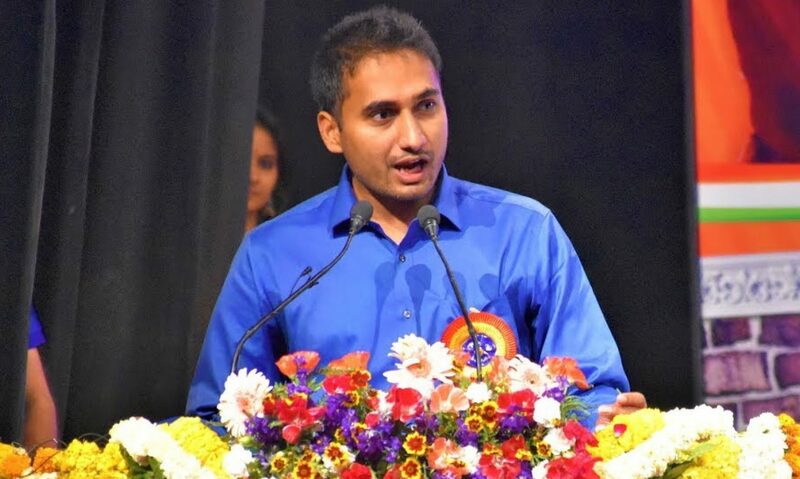 But after coming to IIT, he learnt English and then gave the civil service exam in English medium and became an IAS. Would the Andolankaris call him Hindi medium or English medium? Because the figures they quote for Hindi medium selections won’t include him. Then how can they claim to represent all village, Hindi medium youth? Similarly Prem Ranjan himself studied in Hindi medium school till 12th, yet gave this exam in English. My wife did her schooling in Hindi medium but went on to select English medium for higher studies. If she decides to write the exam tomorrow, will the Andolankaris count her in Hindi medium or English medium? My father himself is one such convert, Mr. Andolankaris! And these are not isolated incidents. With the growth of job opportunities in private sector and that of higher education and the awareness about them in small towns and villages, more and more students from such rural / small town areas are converting to English medium for their graduation. The number of such converts has definitely gone up a lot in recent years. These converts, too, have faced all the difficulties which the rural, Hindi medium youth face. So ideally they should be counted in Hindi medium. But the figures which Andolankaris quote don’t include them and yet it is quite amusing that they claim to represent ALL rural, Hindi medium youth! Mr. Andolankaris, my humble request, please get your figures corrected or don’t make false claims. मुद्दा #7 क्या यह हिंदी माध्यम वाले आंकड़े सही हैं? लेकिन ज़रा ठहरिये, यह आंकड़े तो हमको सिर्फ उन लोगों के चयन बताते हैं जो की इस परीक्षा में हिंदी माध्यम से बैठे थे| पर क्या यह पूरी सच्चाई है? उन छात्रों का क्या जो की सारे स्कूल यानि दंसवी बारहवी तक गाँव के हिंदी माध्यम वाले स्कूल में ही पढ़े हैं मगर बाद में अंग्रेजी माध्यम में चले गए उच्चा सिक्षा हेतु एक उज्जवल भविष्य की कल्पना करके| (इस बात से तो कोई इंकार नहीं कर रहा की पूरी अर्थव्यवस्था को देखें तो अंग्रेजी से एक बेहतर करियर की सम्भावना बढ़ जाती है|) मेरा प्रिय मित्र और IIT में रूममेट, श्री हरिकेश मीणा, राजस्थान के सवाई माधोपुर ज़िले के एक छोटे से गाँव का है| उसका परिवार काफी गरीब भी था| उसने अपनी पूरी स्कूली शिक्षा हिंदी माध्यम से की| मगर IIT में आने के बाद उसने अंग्रेजी सीखी और बाद में सिविल सर्विसेज की परीक्षा भी अंग्रेजी में ही दी और IAS बना| मेरा आन्दोलनकारियों से प्रश्न है की आप उसको हिंदी माध्यम वाला कहेंगे या अंग्रेजी माध्यम वाला? क्योंकि जो आंकड़े आप बता रहे हैं हिंदी माध्यम के चयन वाले उनमें तो वो होगा ही नहीं| तब आप कैसे सारे ग्रामीण हिंदी माध्यम छात्रों के प्रतिनिधितव का दावा कर रहे हैं? इसी तरह श्री प्रेम रंजन भी खुद बारहवी तक हिंदी माध्यम स्कूल में ही पढ़ा था मगर फिर भी यह परीक्षा उसने अंग्रेजी माध्यम में ही दी| मेरी धरमपत्नी भी खुद अपनी सारी स्कूलिंग हिंदी माध्यम से ही की है मगर उच्च सिक्षा के लिए उसने अंग्रेजी सीखी और अब अंग्रेजी माध्यम से पढ़ रही है| अगर कल को वो यह परीक्षा लिखना चाहती है तो हे श्रीमान आन्दोलनकारी, आप उसको हिंदी माध्यम का बताएँगे या अंग्रेजी माध्यम का? वैसे आपकी जानकारी के लिए मेरे पिताजी भी सारी स्कूलिंग गाँव में हिंदी में करने के बाद उच्च शिक्षा के लिए अंग्रेजी में आए थे! Issue #8 So What Should be Done? I have already suggested the kind of changes we should make in the CSAT. In fact, if you read both the Hindi and English versions of this article, you may agree with the point I was making in 1st article i.e. easy translation can solve a lot of problems. With regards to the unfavorable ecosystem due to changing pattern, I would reiterate – it is no fault of UPSC, nor is it of students. What Hindi medium UPSC students really need is accessibility to quality books, newspaper editorials, study material and internet in easy Hindi. I have been trying to get in touch with Hindi medium toppers and get them to share their book list and strategy. If the Andolankaris really care about the students, then they too should do whatever they can to make as much of quality material accessible to students as possible. If nothing else, open a coaching where you use the internet, English newspapers, English books etc. and make the relevant material available to the students. There would be a great market for quality work I can assure you. Countless Hindi medium students have lost a lot of precious time in recent drama. Let us work, together, instead to really make the ecosystem better for them. Let us work, together, to remove the disabilities they presently suffer from the very beginning. Stop this fight and use the energy constructively. मुद्दा #8 तो क्या किया जाए? Both parts of the above question require deep analysis. Answers can’t be found in any single book / magazine / coaching material. So our ‘knowledge powerhouse’ candidate will still have to analyze. Information determined = 0 marks, Analysis determined = 30 marks. All three parts above are knowledge determined and can be easily found in any standard book / material. Our candidate is happy. Information determined = 30 marks, Analysis determined = 30 marks. These are again knowledge determined questions. Information determined = 60 marks, Analysis determined = 30 marks. Part a) and b) above are knowledge based questions, though c) requires analysis. So our encyclopedic candidate will crawl through by attempting parts a) and b). This adds 20 marks to his performance. Information determined = 80 marks, Analysis determined = 30 marks. These are totally knowledge based. 10 more marks for knowledge determined. Score now stands Information determined = 90 marks, Analysis determined = 30 marks. Part a) here is knowledge based. It can be found in any standard polity book / coaching material. Part b) is unconventional and requires analysis. So our knowledge powerhouse will simply attempt part a) and manage through. Information determined = 120 marks, Analysis determined = 30 marks. Although both parts require deep knowledge on the part of the candidate, yet my experience tells me this information cannot be found in any one place. For example, in part a) the information is scattered everywhere in the constitution in terms of equal rights for minorities, backward classes, women, children, equality and equal protection of laws, secularism, socialism, political equality and so on. Answering this would require great application of mind. Similarly part b) too is scattered as it doesn’t merely talk about UPSC. Also it is not a conventionally asked topic. So our student cannot escape here and will have to use her analytical skills. Information determined = 120 marks, Analysis determined = 60 marks. All parts above are very standard and can be found in any standard book / material. Information determined = 150 marks, Analysis determined = 60 marks. These are purely knowledge based question requiring no analysis. Information determined = 160 marks, Analysis determined = 60 marks. Although part a) requires fair bit of analysis and mere knowledge of the Punjab Assembly’s action is not enough, part b) will provide escape route to our knowledge powerhouse student. She will attempt part b) using her vast amount of knowledge on PURA found from magazines. Information determined = 190 marks, Analysis determined = 60 marks. Here parts a) and b) can be attempted purely based on knowledge and answers to these are found in standard UPSC preparation material and magazines. Part c) requires analysis but given the freedom to attempt any 2 questions, our student will simply attempt a) and b) and sail through. Information determined = 210 marks, Analysis determined = 60 marks. Here parts a) and b) are unconventional type. They can’t be found in any single place and also require lot of application of mind on part of the candidate. Part c) however is standard knowledge based question. Our knowledge storehouse will attempt either one of a) and b) and then attempt c). So 10 marks to Information determined and 10 marks to Analysis determined. Information determined = 220 marks, Analysis determined = 70 marks. These are pure knowledge questions. Thus our knowledge candidate has managed to attempt 230 marks questions based on her knowledge primarily and had to face only 70 marks worth of unconventional questions. Now let us look at 2013 paper. Let us pick up GS Mains Paper 3. This question gives the knowledge component needed in the question itself i.e. CSR a mandatory obligation. First part asks for the challenges, which requires analysis. In the second part apart from listing the other provisions, we will have to give implications as well. So part of it is knowledge and part is analysis. So Information determined = 2.5 marks, Analysis determined = 7.5 marks. Reasons for introduction require analysis. Similarly second part is not about just listing the salient features, it is about critically examining them and also their effectiveness. So overall an analysis based question. Information determined = 2.5 marks, Analysis determined = 17.5 marks. First part of the question is knowledge based. However, second part is analysis. Information determined = 7.5 marks, Analysis determined = 22.5 marks. This is purely analytical question. Presentation of thoughts is more important here. Information determined = 7.5 marks, Analysis determined = 32.5 marks. Part 1 is purely knowledge based. Part 2 is analysis. Information determined = 12.5 marks, Analysis determined = 37.5 marks. Here the knowledge of what Pink Revolution is, is very important. But that alone is not sufficient. One would then have to critically examine all its aspects. So part knowledge, part analysis. Information determined = 17.5 marks, Analysis determined = 42.5 marks. This is totally an unconventional question, the answer of which cannot be found in any single standard UPSC preparation place. Information determined = 17.5 marks, Analysis determined = 52.5 marks. This again is an analytical question. Advantage of knowledge is limited, how we structure and present our thoughts is more important. Information determined = 17.5 marks, Analysis determined = 62.5 marks. The answers to these questions would be scattered over numerous newspaper and internet articles. Not a standard question requiring bookish knowledge. Information determined = 17.5 marks, Analysis determined = 72.5 marks. Again the answer can’t be found in any single source and needs application of mind. Information determined = 17.5 marks, Analysis determined = 82.5 marks. This is a knowledge based question. Information determined = 27.5 marks, Analysis determined = 82.5 marks. Here knowledge is not a key factor. Everybody knows everything in the answer. Key is presentation and structuring. Information determined = 27.5 marks, Analysis determined = 92.5 marks. Circumstances are knowledge based. But the decision itself is common knowledge and so to answer part 2 (pros and cons) no special knowledge is needed. So 5 marks each to both categories. Information determined = 32.5 marks, Analysis determined = 97.5 marks. Knowledge is the key determinant here for both parts. Information determined = 42.5 marks, Analysis determined = 97.5 marks. UDRS for an Indian is common knowledge (every second person plays cricket!). Answer to silicone tape part would not have been found in conventional sources. Overall, an unconventional question. Information determined = 42.5 marks, Analysis determined = 107.5 marks. This is information based. Information determined = 52.5 marks, Analysis determined = 107.5 marks. Part a) is a knowledge based question. Part b) is not commonly found (although we keep reading about run of river projects but the question is on their differences from other projects). So it is unconventional. Information determined = 57.5 marks, Analysis determined = 112.5 marks. There is no special knowledge required here. Application of mind before writing is more important. Information determined = 57.5 marks, Analysis determined = 122.5 marks. Part 1 of the question is generic and no special knowledge is required. To answer part 2, one needs to know what GO and NO GO zones are, but that knowledge alone is not sufficient to answer the question. One needs to analyze its pros and cons. Hence application of mind is required too. Information determined = 60 marks, Analysis determined = 130 marks. This is a knowledge based question. Information determined = 70 marks, Analysis determined = 130 marks. Here knowledge alone doesn’t give any significant advantage. Analysis is required to answer it. Information determined = 70 marks, Analysis determined = 140 marks. No special knowledge needed. Analysis required. Information determined = 70 marks, Analysis determined = 150 marks. What is cyber warfare and cyber threats is common knowledge. Country’s preparedness can’t be found in any single source and is scattered here and there. Information determined = 70 marks, Analysis determined = 160 marks. One needs to know the provisions of 5th schedule here, but that knowledge alone is not sufficient. Analysis is equally important. So Information determined = 75 marks, Analysis determined = 165 marks. This is totally an unconventional question and requires deep analysis. So Information determined = 75 marks, Analysis determined = 175 marks. Thus we see our knowledge student will have an advantage in only 75 marks worth questions in the new pattern. First Comment! Do I get my iPod? then for second comment i should get my ipad mini!!!! Hehe. Thanks for your comment rachit. Such a pleasure and congrats for Gujarat! I ll take my party..
to be candid enough even i did not get the basic crux of the issue, but after going through your article i think you understood and explained the root cause of the problem quite well, the problem is that there has been a paradigm shift in examinations pattern which as you rightly pointed out these students could not adapt to, maybe because of paucity of resources or may be because of status quoist mentality. And i have a gut feeling that these protests where fiercely backed and instigated by coaching institutes because of the changing nature of examination, owing to which their role is decreasing year after year. Civil services is not any employment guarantee scheme to accommodate every one, equip yourself to the changing nature or perish. crystal clear n crisp ..
Sir , the points raised by you are rational and logical . i hope , “andolankari” would understand this issue & utilise their time in productive learning rather doing all these acts. Nice analysis along with solution. You really deserves rank 1. As alleged by andolankaris that cut off for GS-1(prelims) is too low(30 marks out of 200), I want to convey them that this is where mathematics help. See, total cut off for Prelims 2013 was 241, so no one can clear this examination(prelims), without scoring less than 41 marks in paper 1, and I am assuming that in paper 2, you have gotten full(200 out of 200), which I think is impossible, even for the toppers of IIT/IIM. sir, please put the rest after the prelims. Your articles are very interesting. cant stop myself from reading. Good analysis. But one correction, in credit based higher education question, the right interpretation was the one in english only. Loan based education was not a hot topic, it was credit based education system that was spreading rapidly during that time which was issue in focus. So i believe it was actually the hindi translation which was wrong. You can check out the orkut interview prep community discussions at that time to find out what was the correct interpretation of that topic. Some of my seniors got marks in 20’s interpreting it as credit system in graduation.. In hindi the meaning is crystal clear , I dont see any ambiguity. superb and detailed eplaination……one more point I want to add people studied upto 10th in Hindi i.e varnacular language and studied further in English also include Gujrati, Marathi, Tamil,Telugu etc.so they are also not from English medium but with learning they overcome such lingual phobia!!!! Very well explained Gaurav sir. The fact is that every ias aspirant must accomodate himself or herself irrespective of their med/bacgd. according to upsc demands.ex.agar eng./med/mangt students ye kehte rahte humne to science padi hai five years hum kaise hist. geo polity etc arts subjects pade ye upsc ka syllbus to puri tarah favour karta hai arts walo ko to unki halat bhi hindi med./arts bacgd walo ki tarah hoti.yehi baat hindi /arts bacgd walo ko samghni hogi ki yedi ias banna hai to upsc syllabus ke anusar khyd ko accomodate karna hoga .afterall iit/iim mei bhi upsc ki taiyari nahi karwayi jati. Was eagerly waiting for your Part-II series. Thanx a lot….last days mein pta nhi kitne baar mail check kiye for this next Part of your analysis. Brilliant analysis. That was somewhat I said in my last comment. It is true that we can’t change the whole education system of our country at random. We can’t even equalise all the boards of education and their syllabi and at the same time we can’t even equalise the medium of all the regions of our country. Neither age permits to reappear in matriculation boards from other boards and change our medium or start everything afresh nor can we afford it. So, one should be well prepared and think logically rather than blaming or cursing himself or system. * Sita maa k husband ka naam Sri Ram tha aur unhone dhanush toda tha to marry her….——->>> Direct question from UPSC as per earlier pattern well explained above by Gaurav Sir. * What if I ask the same ki Sita maa k husband ka naam kya tha? b) Jis aadmi ne dhanush toda tha. UPSC v kuch is trah hi change la rhi hai…..Toh agr aapne seriously ramayan padha hai toh obviously aapko koi fark nhi padhega wo 3 option de ya 4. Matter toh whi hai na bas thoda logical hona hai. That’s it. Why to loose your confidence bas thoda attentive rehna hai. Waise v koi aapse expect nhi krta hai ki 200/200 lao, 120-130 toh la hi sakte ho na. Yaar, agr aaplog sach mein kuch karna chahte ho why expecting change at random, why not bring the change for the next generations.?? Aaplog agr aage k logon k liye easy banana chahte ho kuch v toh kuch aisa kijiye ki aaplog acche se mehnat kro, don’t give up due to any excuse or something it’s my request to you people.Aapke pass avi opportunity hai ki aap Delhi mein reh k preparation kr rhe ho toh us resource ko use kro na wahan protest krne toh nhi gye ho na ghr se itni dur. Hard work toh krna hi padega na….thode acche se kr lijiye , uske baad aap apne power, position ka use krke society mein wo change lao jo aap khud k liye chahte ho ya the for the betterment of society and our country or aspiring Civil Servants. So that unka v bhala ho jayega..why to be aggressive and loose your own precious time. When everything can be acheived cooling one’s own mind. regarding csat i agree with your points 2,3 and4. but just for once if question paper is designed in hindi and then translated in english we can see the difference. i am equally equipped in hindi and english but when i solve the paper in english i score 185 and with the same paper in hindi i got 135. even reasoning questions and mathematics question when translated in hindi changes their meaning and answer came wrong. and whoever s mistake is this if difficulty level is 100 for english medium students for one who is solving paper in hindi difficulty is 150. sr in my college most of the toppers were from hindi medium. its not they are less intelligent. if paper is equally fair in both the languages one can see the real results. its about equal playing field not about reducing difficulty level. There have been many first rankers before, none of them deserved it more than you. Thanks to changed pattern of UPSC & D P Aggarwal. And by your attitude it looks you will start & give new direction to bureaucracy being a Public servant in “Civil Service” which Indian bureaucracy badly needs now. giving justification with sticks….yes u are rite bro.. though i have not read ur full article but yes hard research have been done to define the trend. i knw that pattern have continuously shifting in mains too hard based factual 20-30 markers to analytic criticizers of 10 marks and concept+factual+current yields a good answer. I will try to be objective and try to answer the accusations being made by the candidates opposing the CSAT. The well established basic philosophy of any job recruitment is to select the best possible candidates from the available candidates. Since the pedagogy, education standards and marking patterns are not uniform across schools and boards, we have to go for an all India level examination. This exam is Civil Service Exam in case of selection to upper level bureaucracy and the competition is fierce with around thousand (including allied services) qualifying against a total of around eight lakh aspirants filling the form, thus leading to a high failure rate. Another criterion is suitability for the job. What do the civil services require? It requires sharp mind with an analytical skill and able to cope up with an ever changing social and economic factors which the exam tries to test via comprehension in CSAT and analytical questions in history, geography, international relations, ethics etc in Mains and interview. If a candidate has not been able to inculcate these traits in their early period of education, the exam allows six attempts (i.e. six years ) to get those skills in case of general candidates. One can easily decipher the use of these skills in preparing report by committees headed by minister and assisted by Secretary(who is normally an IAS officer). If one can’t acquire these abilities in six years other than twenty years in school, I don’t think one will be able to do justice to the service. I will start with the biggest problem i.e. English comprehensions in CSAT. There are around eight questions in the exam with English of tenth standard and require no analytical skills. You can simply read the answers in the passage. Also, very limited vocabulary is used. Even if this doesn’t satisfy them, I should point out the plight of non-Hindi belt aspirants, who are forced to write either in Hindi or English in CSAT. And still they do not complain and pass the exam with flying colors. Even our PM(yes the same “chaiwala” which the banners have mentioned) has many times advocated that one should learn English as most of the good reading material are in English and secratry to a minister (who is an IAS or IFS or IPS officer) in their meeting with foreign delegation has to use this as a medium. I think this is more of a political issue of universalisation of Hindi than any other issue. But if that still doesn’t suit you, I do not have any problem if these questions are available in Hindi as well. It has been argued that in CSAT aptitude paper( Paper II) , engineering background students have an advantage. One should look into the structure of the aptitude test to better understand the issue. One can easily decipher on a cursory look of previous year paper that 40-50% of the questions are comprehension passages, which is a weak point for engineering students due to their lack of reading during their college years. There is very less reading material in the books. It’s mainly theorems and use of formulas in solving numerical. Secondly, there are only 7-8 math problems in the aptitude paper which is again of tenth standard. I will admit that engineering students may have advantage in this due to their training in engineering. Other than that, the rest paper is purely aptitude which is never taught in any engineering courses. The youngest IAS officer who qualified this prestigious exam is a doctor with as less training in maths as a humanity student. Thus, engineering students are at max on par with the humanities students. If one takes a glance at the syllabus of general studies in prelims and mains, one comes to realize how hard it is for engineering students in mains exam. Humanities students have minimum of five year experience in this field. Also, they have had enough opportunity in senior secondary and college to hone up their analytical and answer writing abilities which is the most important point of this exercise( CSE Mains exam). Engineering students have a minimum gap of six years after secondary school exam(10th standard) in these subjects. Whereas, engineering students mug up their syllabus in the last few days of exam and there isn’t much analysis to be done during answer writing in exam cause of the nature of the exam which is mostly based on proving theorems and using them in numerical. CSE Mains Exam is again biased in favour of Humanities. All four compulsory papers are in humanities. Also, Essay writing is again an advantage to humanities students and its weightage has been increased in the new format. And it is the mains exam whose marks are considered in making final ranking of the exam. So, engineering students are highly at disadvantage. Most of engineering students take humanities subjects as their optional as they feel that scaling favors humanities subjects and still they manage to do better than humanities student. Any competitive exam favours talent rather than any particular stream. Also, one must remember that most of the engineering students are from lower middle class family from small towns and villages who have qualified prestigious engineering entrance exams based on their ability and not elitist nature. These students from humble background are being protested against. Students from Upper middle class and upper class hardly appear in engineering or administrative exam. It has been suggested that there is a rural urban divide in the number of candidate selected with only around 27% student from rural background. If one thinks deeper in this issue, one will find that there are very less students in rural areas who complete graduation level studies. Literacy rate is much less in rural areas compared to urban areas let alone graduation. This explains the rural urban divide rather than the exam being elitist in nature. If one reads blog of those engineers from IIT and elsewhere (Mrunal.org and other sources), one will find that they support Mr Y.K. Alagh’s statement that exam should be structured to test capabilities of the following pattern and that after implementation “the teaching shop industry will be redundant”. This is what present they believe the present pattern has done as they advice and give emphasis on self study rather than coaching materials. If one reads Nigvekar Committee report on recruitment procedure, one will find much more radical ideas proposed which address the present and future challenges of the top bureaucratic services. But UPSC has taken mild progressive step and has avoided the radical changes proposed keeping in mind the interest of the students. One must appreciate the progressive steps taken by UPSC (even though they almost completely favour humanity students rather than engineering students) to bring progressive changes according to the changing and increasingly challenging demands of the profession. India needs best available talent to man its upper echelons of bureaucracy if it wants to make India a better place for all sections of society. There is no reason if any talented student from any background works hard, he would not be able to qualify this exam. The exams are near, and one must not waste time and protest on trivial issues just because a more sympathetic government to their cause is in power because one should understand that even if all their demand is accepted, still talented students will work hard and achieve what they have set out to achieve. Excellent. Simply Excellent article I have ever read on this issue. Genuine problem is this not English Passages(of 10th standard) which is forced to get removed by UPSC. It reflects the ability & seriousness of Rank-1. Very very deep analysis of real problem faced by Non-English medium student along with the best possible solution. We should think from very very basic. As I observed in my school, students, who were very good in studies, opted maths in 10+2. Who couldn’t take maths due to less marks in 10th board, they went for ART or BIOLOGY. Only 2 good students who could opt Mathematics but they opted Biology and later they secured very good rank in Medical entrance examination. Otherwise all the student of Biology and Art opted that because they couldn’t take maths(for BE/B.tech, student should from maths background). Now, think Why 70% CSE selected students are from Engineering background. I am only wondering why did the UPSC succumb to these petty demands? preparation strategy from Hindi toppers for Hindi medium aspirant. welcome your ideas specially reformation of hindi medium students ecosystem. Here is a big requirement of role of topper for solve aspirants problem. Sir you are doing wonderful job and help of aspirant . A lot of thanks for making a clear analysis on Csat or language dispute. Superb and brilliant analysis !! Sir ! only one thing i want to point out that the reforms made by UPSC of more analytical based questions should also start from early schooling itself !!!! that would be a bottom to top approach ! would not you better ask about 200 marks mistake in essay paper to those paper setters and upsc? andolankaris are not seeking answers from you IITians either.OK. Excuse me , no offence please! the candidates in fray from Arts background may not know what this credit is, that you are talking about being prevalent in IITs/NITs. barring IITian/NITians probably there is a huge lot left of people from other streams. Sir, i am not a sentimental fanatic. i came to your blog to gain something. but i am disappointed by your views. these nowhere left an impression of being rational as u claimed at start of the post. Actually EMPATHY can not be learned in good institutions, this is an innate feature. so i am not blaming you. actually you need not pursue research on the problems faced by hindi or humanities people either. until or unless you are unable to feel that problem personally, you can not have its grasp. not a healthy thinking, rather regressive to great extent. pardon me for my harsh words please. First of all i would like to congratulate you for your grand success. Secondly,i further extend my respect to you for being so aspirant friendly topper (i think the first ever). 1. I agree with your logic that the whole ecosystem is against to hindi medium aspirants. I had faced a lot of difficulties while preparing for csm 2013 in terms of poor material and sub standard books. But if it is the case dont you think upsc should have given some time for adaptaion for hindi medium students? 2. You have made it clear in starting of your article that this argument should be relied upon on logic and not feelings. But I doubt that you ,yourself have drawn some conclusion in which fallacy of illicit generalisation can be seen clearly. For example , you have concluded that all hindi mediums are poorly equiped with computer knowledge. Further you have drawn an illicit conclusion that hindi mediums do no possess critical analytical abilities. or they could not perform in prelims. With all due respect to you, I would like to inform you that many hindi mediums do perform well in both gs 1 and gs 2 papers . For example I have given 3 prelims after csat introduction ( incl 2014) and performed well in all of them. my 2013 score was 121 in gs and 140 in csat. So may be iitians or Cat walas possess more csat abilities but a normal hindi medium humanity student can counter him on the basis of his knowledge of gs mixed with modest csat abilities. Adding to it further, i agree with you that an administrator should have basic english proficiency and analytical abilities. Having said that isn’t it required at all to have basic general knowledge and current affairs knowledge. Then what is the purpose to set gs quallifying criteria as low as 10% while the criteria for csat quallifying is 30%. ( it can be seen in cut off notification of upsc 2013) . Why should it not be considered a favour to certain groups who manages to quallify for mains only on basis of csat itself? 2. I dont care what these andolan walas say but the fact is that there is sharp decline in result of aspirants who have choosen their writting medium as hindi in csm. If some andolanwalas do some mistake intensionally or unintensionally , result of their mistakes should not be thrusted upon us. 3. Actually the csat was a very progressive move by upsc but it may be better implimented than the way it is implimented now. 3. Being an aspirant at some time you have knowledge about the cut throat competition in cs pre . even a single qn can make difference. and hindi mediums are forced to either do mistakes or leave a part of paper unattempted due to shortage of time because they have to read both versions. 4. And when this ill translation done again and again , smell of conspiracy is sure to come. Can’t Upsc manage reasonable translations. one or two mistakes are pardonable but a lot does make a case to protest and it is very achievable by a pen of stroke of upsc chairman. In situation (a) all of hindi mediums who have chosen this would suffer. because english version will be considered authentic ,is what the notificatiob and the instruction on qn paper say. In situation (b) only a part of english mediums suffer cos some of them would have taken its meaning as loan too. Clearly you can observe that only some of the english mediums would suffer , cos they have taken its wrong meaning , partly because of their ill knowledge of releavent current issues. on the other hand Hindi mediums were left with no choice and they would suffer cause they would write it as ‘loan based education ‘ in any case. 5. The story doesn’t end here. The average marks of hindi mediums in mains exam are decling partly because yes ,poor material , but a lot due to english mentality of evaluators. (its a guess , not relied on firm evidence) but i can present my case i have got 130 marks in essay, (that means i can write ,also can critically examine and present an issue) , but getting only 50-60 odd average marks in gs papers. 187 in philosophy optional. that is not worth accepting. 7) The same story continues in interview where hindi medium students are not even considered worth listening. i have two example, although not quoting their names bcos they are in respected services now, In their interview rajni rajdan mam put his head down on table and fell asleep. Imagine what would happened to confidence and self respect of these candidates. And many more… thats the difficulty that a bilingua faces. It is not easy to change mediums and i have changed it thrice.. and giving my last attempt in hindi medium this year in 2014 (as i filled it in pre application form which is not changable this time due to reasons better known to upsc) . Last in english because Either i will be there on your side (selected) or on your side (english medium) next year. Lol….